This verse, part of an extended argument from the writings of Paul, became a triumphant chorus in the hands of Baroque composer George Frideric Handel. In my favorite version of his Messiah, which I mentioned two weeks ago, it swells from genteel to full-throttle and back again thanks to a four-part choir. It’s really quite epic, it’s only two minutes long, and London’s Royal Choral Society approximates it every Good Friday. This verse and the theme of Resurrection have been in my head all day, and I spent much of the morning reflecting on what it means to be made alive. I’m not talking about theological explanations, which are many and can be great. I’m more interested in the practical implications of “being made alive.” If it’s not just a concept and means actual change, then it must mean something for daily living and relationships, and it must change the lenses ordinary people can use to perceive our experiences and choices. As Walter Brueggemann explained in the 2000 edition of The Prophetic Imagination, “texts—in particular biblical texts—are acts of imagination that offer and purpose ‘alternative worlds’ that exist because of and in the act of utterance.” Stories like the Christian Passion narrative and texts like the canon that refined and passed it down over the millennia are all tools that can help me and my communities to to provoke and evoke new visions of what’s possible for us. “Imagination,” Brueggemann writes, “is indeed a legitimate way of knowing.” And it can inspire us to build with our texts, not just deconstruct the worlds we’ve premised on them; it can inspire us to put flesh around “a differently perceived, differently received, differently practiced world” than the conventional one we grow up learning to operate in. About sixteen years ago, I stood at the threshold between death and life. 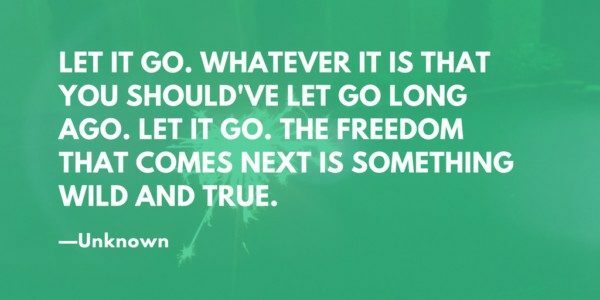 Through my experience and recovery, I learned that passing from death to life involves letting go. Being part of the flow of life means releasing the temptation to keep a tight grip, to try to tame and control. As easygoing as I was, I still had to let go of my immediate plans and expectations. It took me a little longer to practice letting go of familiar forms of pain and restriction as well (I’m still in process on that). But losing the ability to forecast exactly what came next was a major part of what the freedom of living meant for me at that time. Being made alive wasn’t only about me regaining physical capacity or spiritual hope. It also meant me gaining the courage to step toward the unknown and to risk growth and challenge at the edges of the life I’d lived before. I put aside some work, and I’ve still not returned to some writing from Before even though it’s all some people remember of me. Some relationships from Before faded to black too. But also my attention drew me in new directions and new companions have joined me, including many of you. I can’t help but think that whatever’s “wild and true” should fill the lives of those who’ve been made alive. I’m not sure that the wild-and-true can be blueprinted or plotted out of context. I’m sure imagination must be required and there are more surprises than we can count. Because the already is is a kind of tomb. And it would be a shame to come alive in a tomb yet perceive its walls as the outer boundary of the outer world and try to build a life in there. More is possible. Not only do we get to be made alive, but we also get to leave our tombs behind. That’s good news right there… even if it doesn’t always feel like it.